Behind its more technical mathematical definition from intermediate algebra, “quadratic” derives from quadratus, the Latin word for square. In the ancient world, the geometric form of a perfect square represented stability, symmetry, and wholeness. 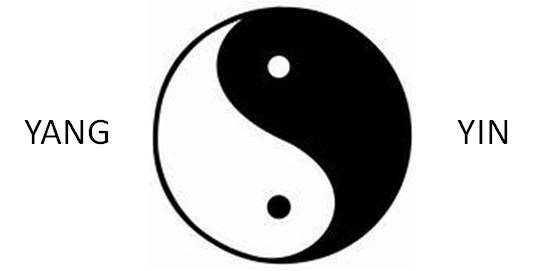 The four elements of earth, air, fire and water, for instance, were taken as the deep structure of reality itself. As I use the term here, quadratic transformation refers to the fourfold dynamic that plays out in transformational change – the way a given identity resists or undergoes alteration in form as it evolves over time. We might take anything as our example, but let’s put a human being at the center of the Quadratic as our particular identity for consideration. 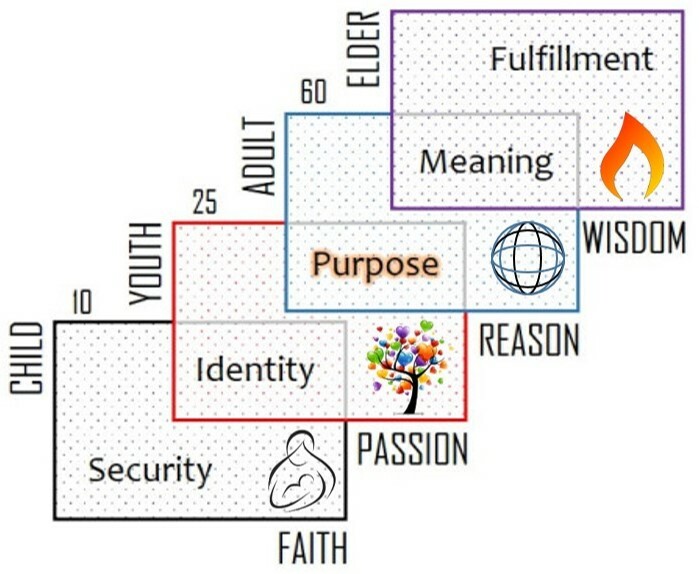 As we follow the vertical axis upwards, we engage the context in which that person exists. Also called its environment or setting, we will use the more interesting term SYSTEM as a reminder that this person participates in a larger context of forces and conditions. From the perspective of our identity-in-focus (a person), the system is external – outside, around, enveloping and inclusive of identity itself. If we start again with personal identity, we can take the vertical axis downwards, which moves us deeper into or within the person. Here we find internal forces and conditions such as the individual’s self awareness, his or her self-image, and a very interesting configuration of intelligence, talent, orientation and neurotic styles. 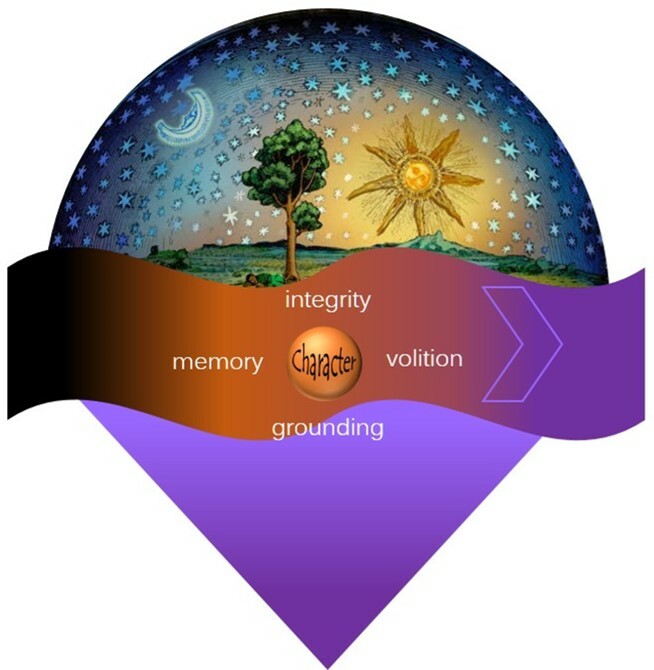 When it comes to personal transformation, the tangles, fixations, and hooks in this internal configuration of the self represent a covert factor in the dynamic of change. Going “down” into the self pushes us deeper into its GROUND. As we shift attention to the horizontal axis, we move to the left (in the Quadratic) where we are confronted with the power of HABIT. This refers to the routines and patterns that persist through time, somewhere along the sliding continuum into unconscious, reflexive, automatic and compulsive activity. By definition habit is conservative, keeping routines (including assumptions, preferences, and behavioral responses) that have been “working” to some extent. This so-called success of a routine might actually interfere with the individual’s personal achievement or pursuit of happiness, but still be conserved for its value in coping with stress. 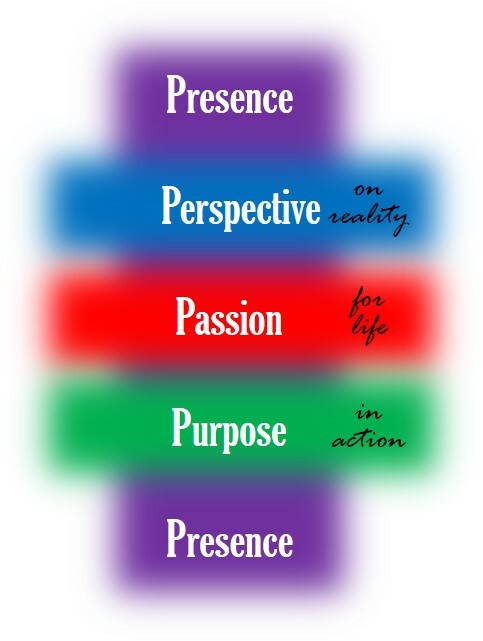 Opposite to habit in the Quadratic of Transformation is the force of PURPOSE, which is progressive in the sense that it looks to what’s next or farther in the future and moves the person in that direction. In contrast to a rock, which is just about all habit, a human person has more potential to change (to grow and advance) – that is to say, the person has more purpose than the rock. Purpose here does not refer to a metaphysical plan or “mission from above,” but to the intention of identity, how creatively it leans into its options and stretches toward fulfillment. In human beings, purpose takes shape in strategies, goals, and the choices guided by intended outcomes. 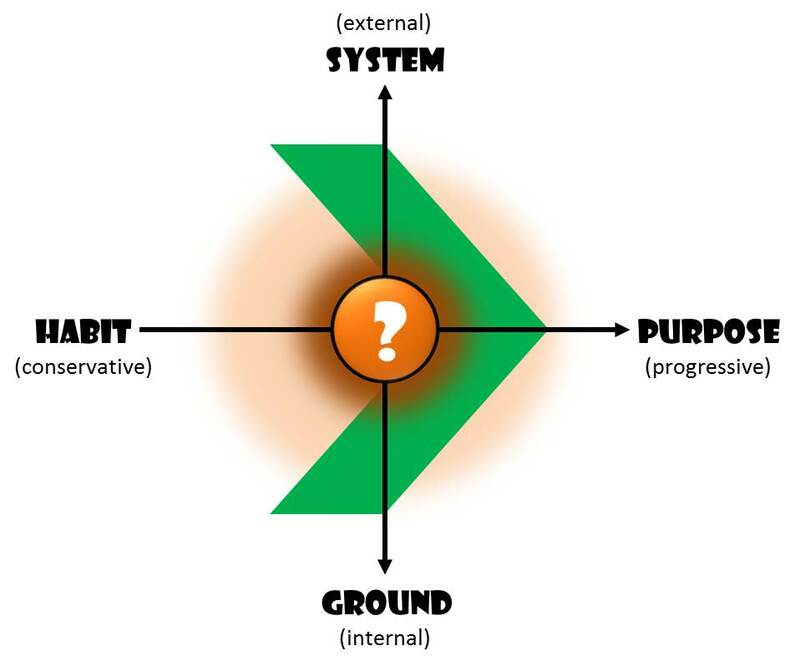 So transformational change is the interplay of these four factors: a surrounding context (system), factors internal to the “self” (ground), the conservation of routines (habit), and an intention for the future (purpose). Eliminate just one of these quadratic factors and transformation will not happen. A weak or “shaky” internal ground makes identity unstable. An inadequate system (poor or missing resources) will put it at risk. Habit that has fallen out of date or is stuck in a blind repetition compulsion stifles creative freedom. And the lack of intention or directed purpose effectively forecloses on the future. Instead of transforming, identity will collapse on itself, become exhausted or obsolete, get stuck in its own ruts, or miss opportunities for progress. In the field of education the Quadratics of Transformation can be immensely helpful in optimizing learning and supporting student success. Instead of simply pushing information at students, educators might become more deeply involved in the process of activating intelligence, promoting aptitude (rather than merely assessing it), and working with the unique quadratics of individual students. In order to succeed in life and reach some degree of self-actualization, a human person needs a strong internal ground of faith, self-confidence, openness to experience, and encouraging self-talk (e.g., “I can do this!”). Such internal strength serves as the basis for resilience, adaptation, and the ability to exploit failure for the wisdom it can teach. Too many people struggle with a paralyzing sense of self-deficiency and unworthiness. Creative educators work early on to help establish in their students (and parents in their children) a provident foundation of self-efficacy. In recent years, especially with the discoveries of neuroscience into how the brain develops, the value of “enriched environments” of learning has gained acceptance. Beyond just surrounding the student with an interesting variety of instructional media, student development is greatly enhanced as the individual becomes increasingly aware of his or her place in a larger system of resources and co-factors of learning. As a participant in a broader and richer context of knowledge, agencies, tools and services, the student can appreciate the excitement of learning as a cooperative achievement. If they are reached soon enough, children can be taught the fundamental skills of effective learning and academic achievement. This goes beyond memorizing the alphabet and math tables, into techniques of setting up the problem, forecasting outcomes, identifying the steps, and constructing a strategy. These skills are gradually established as habits of effective learning and problem-solving through consistent practice. Routines become habitual and require less and less attentional effort as they are performed with consistency. Creative parents and educators understand the prime importance of helping youngsters practice and conserve the proven habits of success. It’s difficult to reach a goal if one hasn’t been clarified and anchored in the future. When individuals are very young they need to borrow the prefrontal cortex of their adult advisors (parents, teachers, coaches), which is the region of the brain most involved in discriminating options, predicting possible outcomes, taking the long view, and making calculated decisions. Evolution has generated a very interesting situation for humans, where children need to rely on adult skills and abilities far into their development (late into the second decade of life). If educators are fixated on instruction and assessment – unconcerned with education proper (educare refers to leading the student out into a broader or better understanding) – teaching will not awaken in students the aspiration toward higher ideals or the strategic intelligence for realizing them. Parents too, of course, can get overburdened and distracted by the stress of their responsibilities, interfering with their ability to model or encourage their children to look ahead and live with purpose. If parents and educators can take a more holistic approach to bringing up our children, we can work together to support their development into internally grounded, intelligently connected, fully skilled and innovative leaders in life. The Quadratics of Transformation is a methodological tool that can help us better help our children.